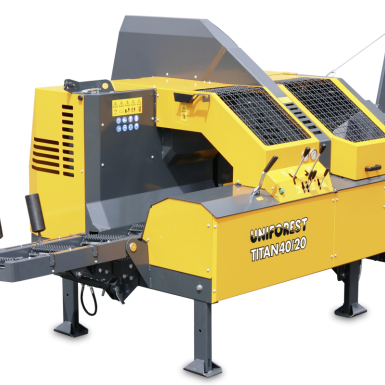 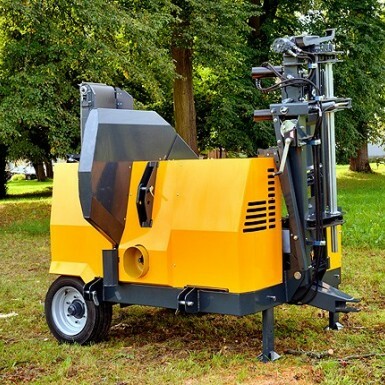 The Uniforest Titan 40-20 is the answer to high volume firewood production from UK grown timber. 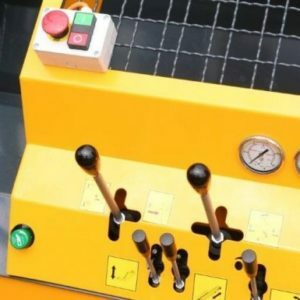 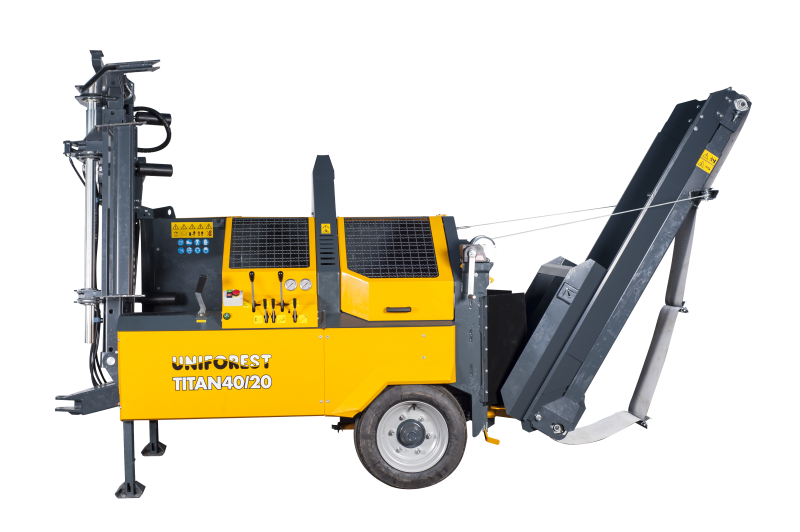 The Uniforest Titan is 100% hydraulic controls with no electronics. 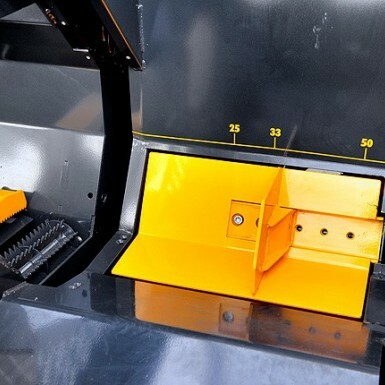 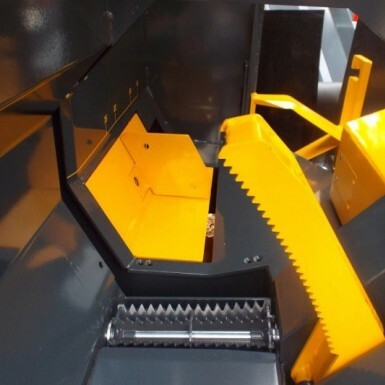 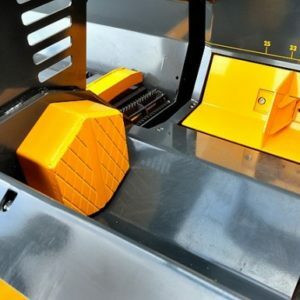 It is very well designed and built and incorporates a massive 40cm cut and 20 ton splitting ram. As each log is cut it does not drop but is ‘flipped’ into the path of the splitting ram. This eliminates the problems of logs dropping sideways. 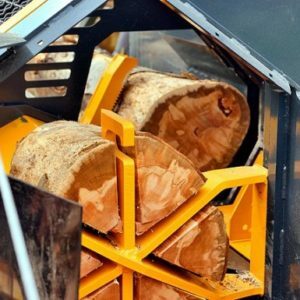 With hydraulic in feed rollers, a log lifter and slewing conveyor this is a high throughput machine that will process timber into finished logs very quickly. 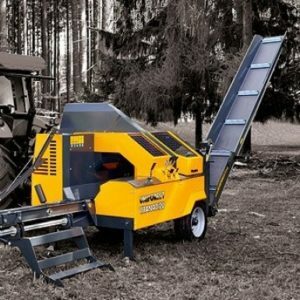 1000mm circular saw blade with 400mm cutting diameter. Hydraulically adjustable window splitting knife with choices of: 2/4, 2/6, 2/8 or 2/12 way knives. 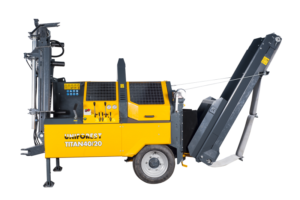 Optional timber lifter and timber rack.